Welcome to Stanley's Store! Can Stanley help his friends find everything they need? Stanley has fresh fruits and veggies to be unloaded, Myrtle needs help at the cheese counter, Shamus and Little Woos groceries must be rung up, andoh no! Charlie just knocked over Stanleys produce display. 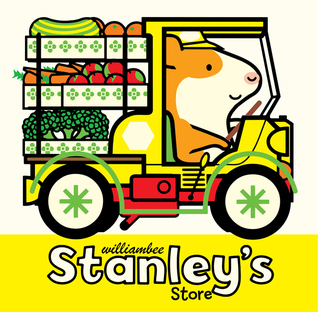 Even for an industrious hamster like Stanley, running a store is hard work! Stanleys Store invites young readers to explore grocery store processes, colors, and machines in a sweet, simple world. With bright illustrations, adorable characters, and a chunky padded-cover format, William Bees Stanley series is perfect for readers transitioning from board books to picture books. Stanley returns with his own store where he and his employees work to help their customers. 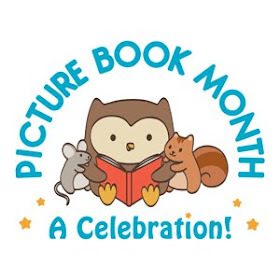 In addition to it's bright colors, and adorable characters, the book offers plenty of opportunities for young readers to discuss what they see with their parent(s) and/or teacher. There are chances to count, identify colors and shapes, as well as discuss the actions of the different characters. A seemingly simple book, Stanley's Store provides lots of learning and growing opportunities. In addition to simple enjoyment, the book would work well for lesson on community jobs, customer service, shapes, colors, and numbers. A thoroughly engaging addition to a fun series that preschoolers and kindergartners are bound to love.